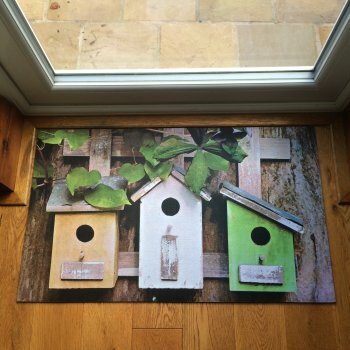 This lovely printed doormat has a birdhouse design. The fibre topped rubber doormat is easy to clean as you can simply wipe, sweep or rinse it with a hose. The doormat would compliment any home decor. Indoor use only.